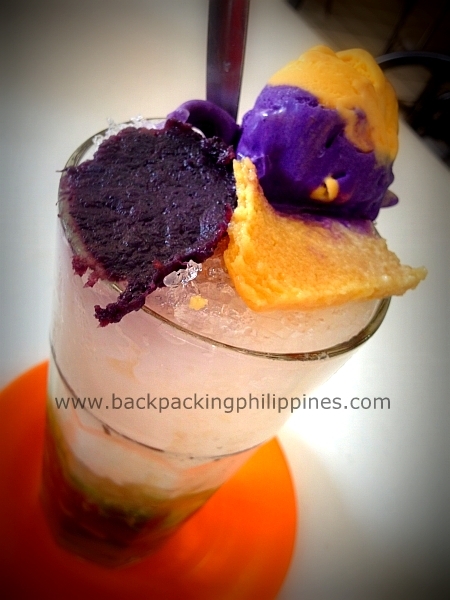 Featured on various TV shows as serving "very good" and "to-die-for" halo-halo, a Filipino dessert of various sweet ingredients mixed with shaved ice and milk, it litterally means "mix-mix" and is one of Filipinos favorite desserts during the hot summer months. 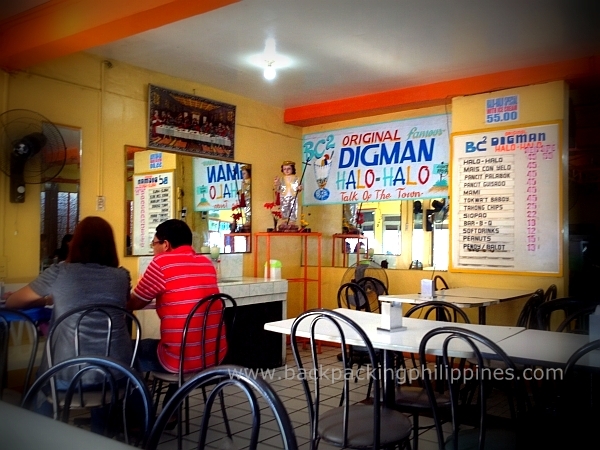 Tutubi chose "BC2 Original Digman Halo-halo Talk of the Town" as it's the one with parking space (read: vacant street parking in front, unlike the other "Original" halo-halo parlor) and this is his take on the famous dessert this side of town. One word: overrated! Sometimes, simple is better probably why Razon's halo-halo (or it's derivative Teresita's) stands out from the rest. Yes, there were many ingredients but even with that number of ingredients don't make it sweet and creamy, in fact it lacks creaminess factor even if Tutubi tried to add more milk to compensate. The beans, yes the beans, Tutubi's favorite halo-halo ingredient (or sometimes he prefers just the beans with shaved ice and milk) were not cooked right-- not tender and bit raw. If they're in business for quite some time, how come they don't know how to properly cook the beans? Is it worth going all the way from Manila just for this? No, but if you're the area, probably near Emilio Aguinaldo Shrine, it's worth your try if you just need to sample it yourself. Tutubi prefers just going to Hidden Tapsi for tapsilog frugal food find, even taking out half-kilo of tapa, which rumors say are horse meat (tapang kabayo) and not beef tapa. If you're still looking for some kind of Bacoor Food Trip or even Cavite Food Trip that includes Digman Halo-halo in your itinerary, here's a map of Bacoor town proper where you can see old stone church of Bacoor upper left and Digman Halo-halo upper right. Manila is to the right while Cavite City and Kawit town is to the left. If you have a private vehicle, you can get there fastest from Manila via Cavitex but you need to exit via Bacoor then turn left towards Bacoor town. Look for a road after passing Bacoor Church where you turn left. I agree 101%...it's so OVERRATED!! !